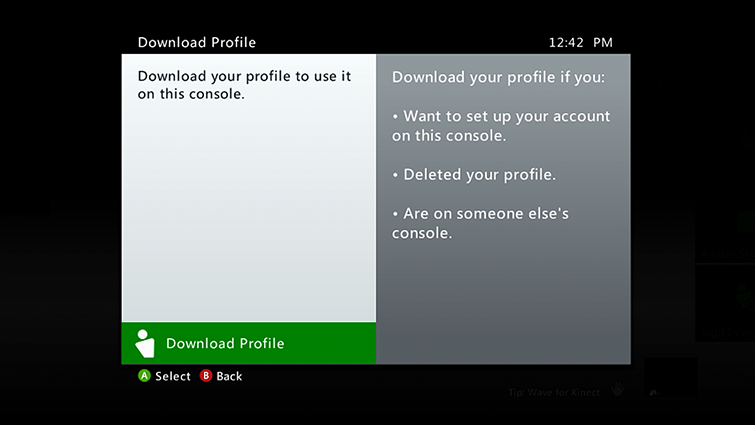 Sorry, Xbox Live profiles can't be downloaded right now. Try again later. If you're seeing this message and error code, it means that there's a problem with your profile. For example, your profile may be corrupted, or there may be an issue with the storage device where your profile is stored. Select Settings, and then select System. Select the storage device that you want, and then select Profiles. Verify that your profile exists and is not corrupted. Note If a "!" icon is displayed next to your profile, the profile is corrupted. If your profile is corrupted, select the profile and then select Delete. Try to download your profile again. If you still can't download your profile, remove your Xbox Hard Drive and then try to download your profile to a USB device. 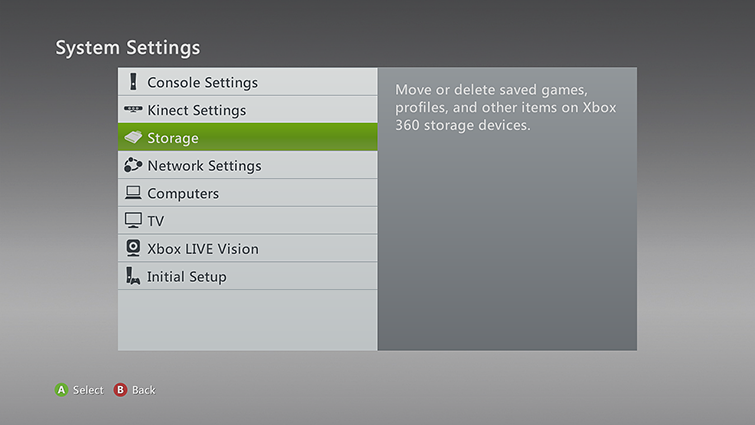 Note For information about how to remove your Xbox Hard Drive, see Add or remove an Xbox 360 Hard Drive. Unplug all the devices that are connected to your Xbox 360 console. Unplug the console from the electrical outlet. Next, plug your console back into the power point, reconnect all of the devices and then try to download your profile again. The Xbox 360 system cache stores such items as game updates, system update installation packages and gamer pictures of your friends. You can often resolve issues with your Xbox 360 by clearing the system cache. Clearing the cache does remove previously downloaded game updates. You must download these updates again the next time that you play the game. To clear the system cache, follow these steps. When prompted to confirm storage device maintenance, select Yes. You want to use your Xbox Live gamertag on another Xbox 360 console. You accidentally deleted your Xbox Live gamertag from your own Xbox 360 console. Press the Guide button on the controller (the large “X” button in the centre). Note Not seeing Download Profile? This means that you are signed in under another profile. Press X to sign out, confirm and then select Download Profile. Enter the email address of the Microsoft account that's associated with your Xbox Live profile. If you don't know it, see the Lost Account Solution. Enter your Microsoft account password. If you have forgotten it, reset your password or see the Lost Password Solution. Note If your account is an Xbox Live child account, you must enter the parent's Microsoft account information to download the profile. If you use external storage on your console, select the storage device to which you want to save the profile. If you don't use external storage, your profile will immediately begin downloading. 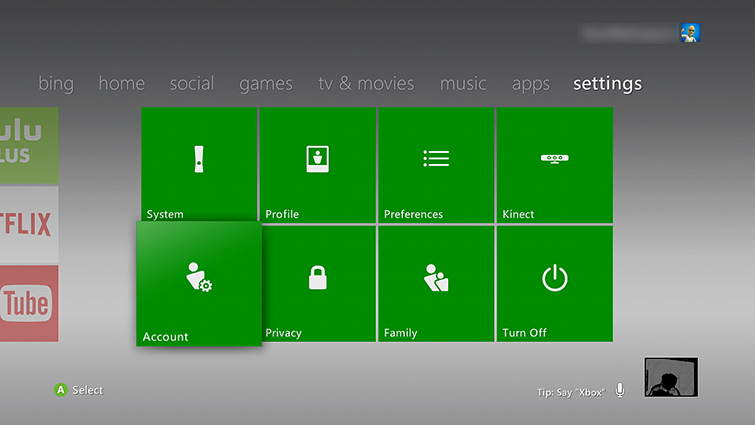 You should now be able to sign in using your Xbox Live profile on the console. Important If you downloaded your profile to another console and you chose Remember Password, you have the option to remotely remove the password so that no one else on the other console can access your profile. 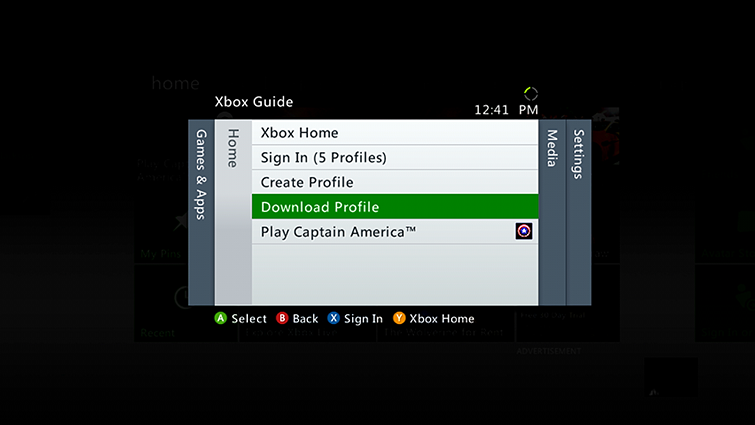 To learn how, see Manage your sign-in preferences on your Xbox 360 console. Would you like to contact Support regarding the "Error code 80070026 occurs when downloading your profile to your Xbox 360 console" issue you were reading about or a different issue?